Danza España/The American Spanish Dance Theatre, Inc., a not-for-profit organization, was established in 1979 by its late Founder Andrea Del Conte. Under the direction of its current Artistic Director Yloy Ybarra, the company is dedicated to interpreting and preserving the Spanish dance tradition for a wide range of audiences through performances and educational programming. 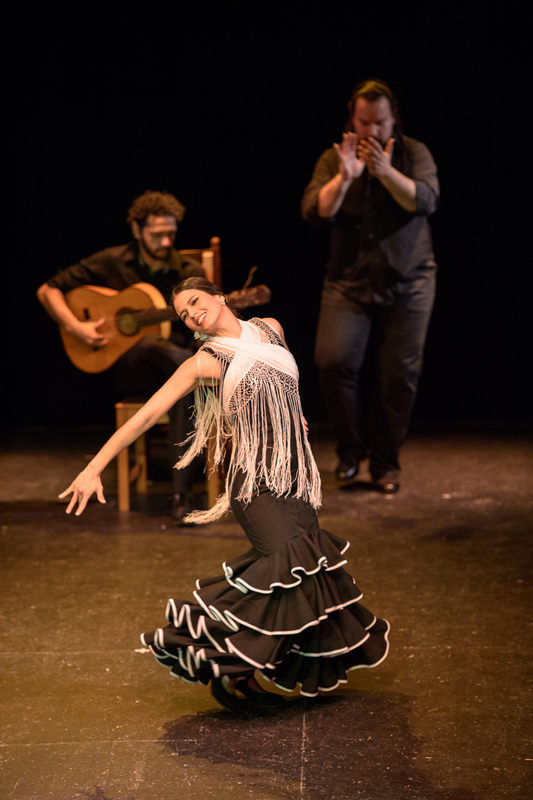 Works from the flamenco and Spanish classical repertory make up the concert programs with emphasis on increasing public awareness of Spanish culture while maintaining a high level of artistry by presenting the dance of Spain as authentically as possible. The company's arts education programs serve to pass on the cultural heritage of Spain with an emphasis on reaching underprivileged children, showing them the endless ways in which the arts can enrich their lives. Yloy Ybarra was appointed Artistic/Executive Director of Danza España in 2010, as the successor of the late Andre Del Conte. Since then he has produced and directed Danza’s annual performance seasons at the Thalia Spanish Theater, El Barrio’s Artspace PS109, Bronx Academy of Arts & Dance (BAAD! ), Faison Firehouse Theater, the Flamboyan Theater at Clemente Soto Velez Cultural and Educational Center, Pregones Theater, Sirovich Center, Alegrias en La Nacional, and the Jacqueline Kennedy Onassis Theater. His first association with Ms. Del Conte was in 1991, when he joined her company as a performer and teaching artist. He continues Andrea Del Conte’s legacy and 30 year commitment to Flamenco as educator, choreographer, director and performer. Ybarra has an extensive background in Ballet and Modern dance and has toured nationally with JAZZDANCE by Danny Buraczeski. He has danced at the American Dance Festival, Spoleto, Jacobs Pillow, the Joyce Theater and Lincoln Center, as well as in appearances at the Metropolitan and Dallas Operas. He also performed with Maria Benitez, José Greco, Carlota Santana-Flamenco Vivo, Maria Loretta-Sol y Sombra, Flamenco Latino, Romon de los Reyes, and La Repompa de Malaga. In Spain, he has appeared on TeleMadrid and Canal Sur and has produced several performances in Ronda, in the province of Malaga. Ybarra also programs his own company, “Ballet Fiesta Mexicana”, and as an educator, he has worked for over 25 years in the NYC public schools with Young Audiences New York (YANY), Symphony Space, Lotus Music & Dance, Community Works, and Arts Connection, bringing dance to thousands of children, with focus on children with special needs. Ybarra has been a recipient of numerous grants, most recently the “Residency of the year at Young Audiences NY” for his accomplishments with Special Education students. He is the director and principal teacher of Danza España’s Flamenco Children’s Training Program, which was launched by the late Andrea Del Conte in 2000 and serves pre-teens and teens at Hudson Guild, The Lower Eastside Girls Club and Goddard Riverside Community Center. Ballet Fiesta Mexicana was founded by dancer/director/teacher Yloy Ybarra in 1999. Believing in performance as a powerful tool for learning, Ybarra created Ballet Fiesta Mexicana as a means to provide students the opportunity to discover and appreciate the performing arts while developing cultural awareness of Mexico’s vast folkloric history. Ybarra chose a rich and diverse repertory for his new company, which celebrates the beauty of Mexico’s universe in motion - from the pre-Columbian civilizations, which grew with the Hispanic influences of the vice-royal era, through the revolutionary years. Working with Young Audiences NY (YANY), Symphony Space, Lotus Music & Dance, Arts Connection, and Community Works, Ballet Fiesta Mexicana has brought experiences with artists and the appreciation of Mexico’s folklore, dance, music and regional costume to thousands of students. Ballet Fiesta Mexicana quickly became an audience favorite. The initial success of their first performances led to engagements at Queens Museum, the National Arts Club (Tribute to Octavio Paz), the American Museum of Natural History, the Metropolitan Museum of New York, The Museum of the City of New York, Riverside Church, Queens Theatre in the Park, Hostos Community College and the Folk Art Museum in New York. Ballet Fiesta Mexicana made its formal theatrical debut in 2000 at The Thalia Spanish Theatre. Ballet Fiesta Mexicana’s goal is to continue serving the American public as ambassador of Mexican culture.